Happy Easter…10% off all stompers when you sign up to our website until Tuesday! Since joining Jools Holland and His Rhythm and Blues Orchestra in 1991, Dave Swift has established himself as one of the UK’s finest, high-profile bass players. In his career, which expands beyond three decades, Dave boasts a musician’s portfolio that seconds no other. 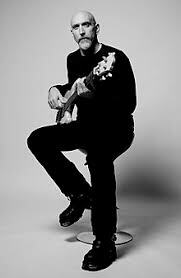 Dave Swift has played for an array of renowned artists, from George Benson and Chaka Khan to Eric Clapton and Paul Simon. Over the years he has performed at many prestigious events, such as the North Sea Jazz Festival, Dubai International Jazz Festival, Blue Note Tokyo, Amnesty International, the Montreux Jazz Festival, Glastonbury Music Festival, and a G8 Conference for world leaders, which included former British Prime Minister, Tony Blair, and President Bill Clinton. Additional performances include the Millennium Night celebration at the Millennium Dome for Her Majesty the Queen and a sell-out concert at the Sydney Opera House during their 2008 tour of Australia and New Zealand. Previously, Swift has been the in-house bassist for Chris Evans’s primetime Saturday night TV show, Don’t Forget Your Toothbrush, and Name That Tune on Channel 5. Since their inception, Dave Swift has performed on both the BBC TV show, Later…with Jools Holland, and the Jools Holland Show on BBC Radio 2. Where there is music, there is Dave Swift; he’s recorded on many British movie soundtracks, which include: Secret Friends (Dennis Potter), MILK (Dawn French), Kevin and Perry Go Large (Harry Enfield & Cathy Burke), and Hunting Venus (Martin Clunes). More recently he recorded the soundtrack for the period drama Me & Orson Welles, starring Zac Efron, Christian McKay and Claire Danes. Dave Swift continues to tour both in the UK and around the world. To visit his website click here. 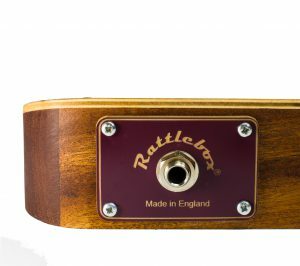 Our new Terl Bryant curved Rattlebox .. shop now!